As a young nineteen year old and secretly in love with senior NCA student in Lahore, I wanted to know his zodiac sign to understand him better inside and out. And he, he had no idea when he was born because his elders put a made up date on his birth certificate. According to his mother he was born the same summer, two days apart when her favourite white goat had her first-born. There was too much commotion so no one remembered! In 2003 Keith and I went separate ways, I cultivated motiroti whilst he became RichMix, then Head of Culture for London 2012 (from ’06-’08) and then now KKA. Funds dwindled, visions changed, I stepped down as its Artistic Director in 2012. Passed on the baton to Tim Jones and the board… collaborated on a long time dream of mine Multiwalks, motiroti’s last project in 2013 and the company officially ceased to run beginning of 2014. However, motiroti’s procreation has taken place as organically as its inception. All those hundreds of artists and associates who worked under its new vision of cultural practice bear witness to the motiroti ethos. Dr. Alda Terracciano’s vision for preserving the past as an archive available for the future got her to create Future Histories, a repository and cultural heritage of performing arts in the UK. motiroti archive is thorough documentation of some 20 years of work within the Asian and black performing arts sector. 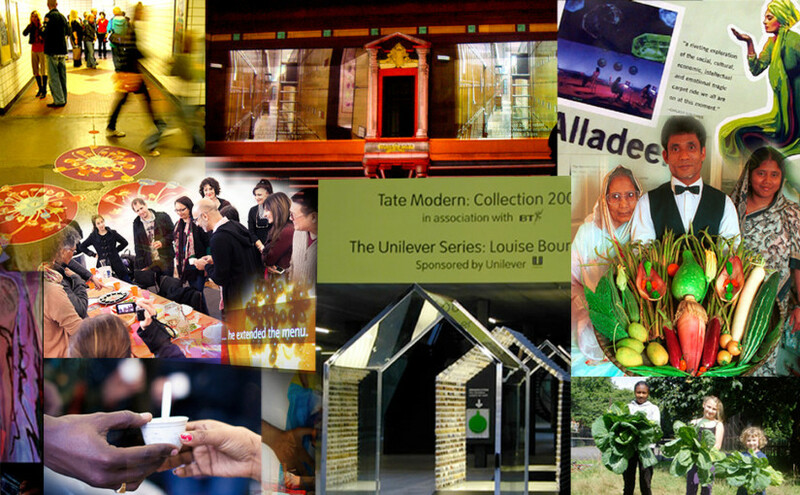 This archive’s strength is in its visual material from storyboards to production photographs, sketches to poster artwork, from printed flyers and programmes to CDs and videos. By default the archive highlights not only the productions alone, but different companies and individual performers that have worked with and for motiroti, who otherwise would go unacknowledged. So, now, there are two major archives. One is a physical archive that resides with Goldsmiths University and the other more accessible online archive. The analogue archive covers a period from seminal pre-motiroti projects by Keith and I, till the production of Alladeen (2002-2005). All permutations of the online digital manifestations of motiroti and its micro sites hosted with British Library’s UK Web Archive. 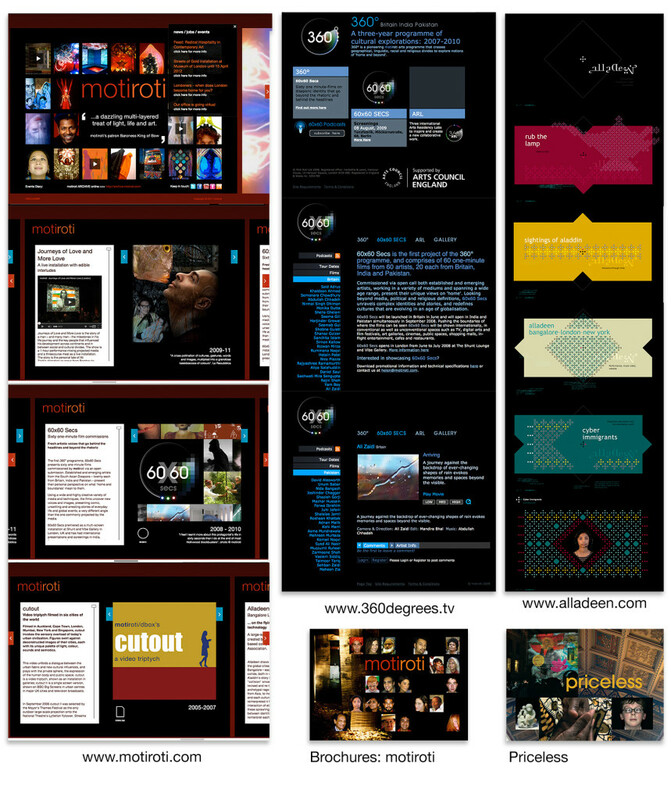 motiroti’s extensive online archive This covers project synopsis with complete production credits. Playful presentation and image functionality doesn’t work. www.alladeen.com Alladeen got awarded an OBIE and was one the first examples of a transmedia project, this archive has a few broken links for films and photographs. There is extensive documentation of video and images with The Builders Association, the co-collaborators from New York. www.motiroti.com This archive holds two differently designed versions of motiroti site. Below I share two wonderful takeaways for those associated with motiroti or curious to understand what it was and how it continues to thrive as a touch. Leaving you with all things archive! An interview with British South Asian Theatre memories Oral History project. I saw MotiRoti in Lewisham Theatre many years ago and in discussion with my Australian husband recalled ‘thick bread, thin veils’. Thanks for the site it proves my memory!